Pure Oxygen Infusion Machine Oxy Pro-5 is a cosmetological device designed for professional work in a beauty salon or facial room. Oxygen absorption can improve physical oxygen supply condition and achieve the purpose of oxygenating care. It can also eliminate fatigue and restore somatic function after heavy physical or mental exertion. For anyone looking for flawless picture-perfect look, there is the amazing oxygen facial. Experienced dermatologists agree this treatment is the answer to most of the skin care problems. And, it is the latest celebrity craze for a reason: it delivers results and delivers them quickly. It’s sometimes referred to as the “red carpet facial”. Oxygen infusion machine has only been around for a decade or so, though in such high demand, you would assume it has been around for ages. 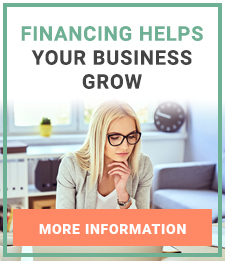 So, if you are serious about growing your beauty business this is the machine you need to invest in. Let’s find out why. 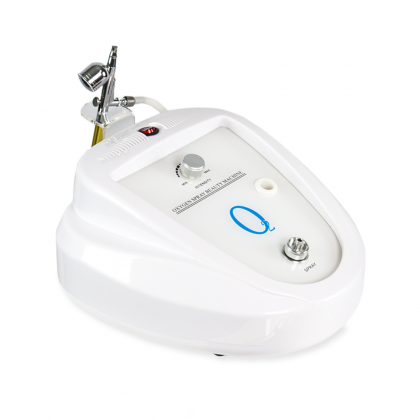 Professional oxygen facial machine blasts oxygen on to the surface of the skin. By penetrating the superficial layers without damaging the skin oxygen transports vital beauty product (moisturizer, hyaluronic acid, nutrients and so on) deep into the skin. Prior to gaining such popularity in the beauty fieldб this amazing procedure has also served a very worthy cause – it was used for chemotherapy to treat patients with skin cancer. Oncologists trusted this system to deliver chemicals enough to treat cancer patients, so we know for sure that this delivery service works! Exfoliate the skin. It is a vital step that cannot be skipped. The skin needs to be exfoliated and cleaned. For the much-needed beauty product to reach the deepest layers, the pores need to be cleared of makeup buildup, dead skin cells, blackheads, whiteheads and so on. Assess the cleared skin and choose the necessary treatment, choose the ingredients that need to be pushed into the skin. Usually, professional dermatologists have a few different treatment options. 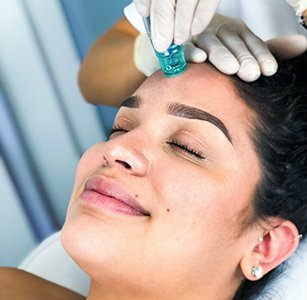 You can choose between hydrating treatment, the treatment that evens out the tone of the skin, the one that eliminates breakouts and there is an option that shows results similar to those of Botox injections. Time of the treatment: 30 – 60 minutes. What are the Main Benefits of Oxygen Facial Equipment? Results are instantly visible. Professional photographers refer to this treatment as a “no airbrush” facial. The skin looked fresh, hydrated and supple. 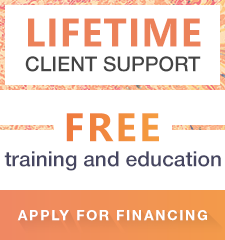 You should recommend the procedure to every client with a big event coming up, they’ll become a client for life! Treatment boosts collagen production essential for restoring firmness, volume, elasticity, lifting and tightening of the skin. Collagen boost reverses the aging process. Another major benefit is accelerated cell turnover as oxygen has a leading role in the cell regeneration process. Oxygen facials are safe and are very relaxing and recommended for all skin types. So, oxygen skin treatment machine is a great investment. Before purchasing oxygen beauty machine that would be perfect for you think of what will fit your needs. Advanced skin care treatments are provided by very complicated equipment that is why the manufacturer should be reliable. You should always research the brand of the oxygen infusion equipment and read the consumer reviews. While choosing your machine, please keep in mind, that price for a single session in the US usually wearies from 100 to 200 USD. And being a much-demanded treatment, you will be able to quickly see the ROI as it is very consistent within the beauty industry. We have a great line of Oxygen facial machines for you. There are even portable oxygen infusion machine in the range of our products. 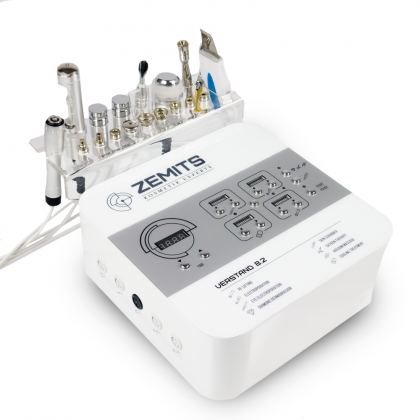 If your salon is fully equipped that you need to invest in the amazing Oxygena by Zemits. It has a great ergonomic design, is very easy to use, offers all of the benefits of the oxygen treatment and is inexpensive. Another great choice would be the Oxy Peel Prof Machine also by Zemits, this oxygen machine for skin care in addition to oxygenation also offers the very popular vacuum peeling. As mentioned before, for better beauty product penetration exfoliating treatments are performed before the treatment. This is a great opportunity to learn more about our fantastic Multifunctional machines. 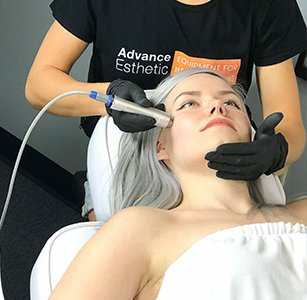 In addition to oxygen facials, you will also be offering top of the line beauty procedures like LED Light therapy, Microdermabrasion, Microcurrent facials and others. Salons and spas usually sell the treatments as a package deal. You are welcome to check these machines in our showroom. Buy oxygen machine for facial and get a quick return on investment.